Dynamic International, supporting the film industry with world class freight management services since 1988. Well planned film and TV logistics avoid disorder, allow you to focus on creativity. The talented cast and crew you assembled are free to perform. Film making is a collaborative art. The partners you choose to manage logistics should attend to details large and small, take their share of responsibility for bringing a production to life. Dynamic International is a transport specialist immersed in the culture of film making. We share your objectives, adding structure and certainty to the business of overseas location filming. From initial strategy meetings, to inventive solutions, Dynamic’s staff work alongside your Production Manager. Helping to ensure the logistics run like clockwork, your production on time and on budget. A well formulated logistics management plan matters. Making this happen matters more and with every project overseen by a Dynamic film coordinator, the facilities you need will be in place. Our fleet of radio controlled, satellite tracked vehicles cover the UK, Europe and beyond. 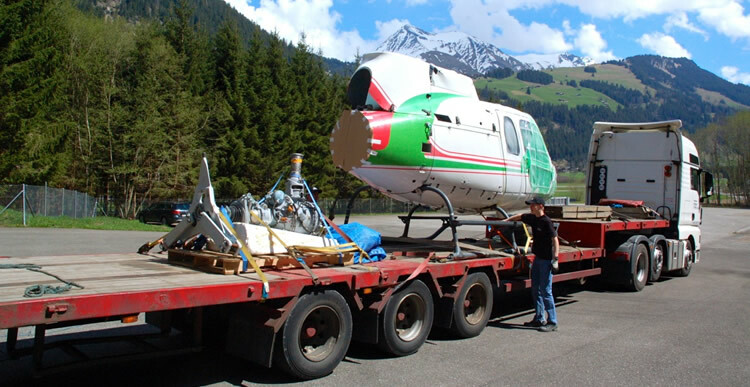 We can source and charter trusted, professional transport by land, sea, or air, in any location on the globe. Well trained packing teams and secure warehousing are available, along with a wide range of handling equipment. We provide safe passage for the most delicate of items, or the largest imaginable. Customs clearance and documentation are organised, permission for specialised items and foreign language negotiations part of our role. Our in house ATA Carnet department covers temporary export and import. Carnet use could increase due to Brexit. We don’t know precisely where leaving the EU will lead, or if we will fully leave but have planned for this. By all means see more on Brexit & the film industry, along with wider aspects. As with every action we take, planning for change is monitored by a dedicated film industry management team. Coordination assured by clear lines of communication internally and with our clients, part of personalised service. Film and TV logistics have been our business for three decades, helping talented people produce fine works. Our track record of success is second to none, although one consideration is more important. Every production is unique and as much as we bring experience, our first task is to listen to you. From a large international shipment, to ensuring daily rushes get back to the UK, each need you have counts. For a blockbuster, or a tightly budgeted commercial, Dynamic’s teamwork approach makes sure your needs are covered. By all means contact our film management team via film@dynamic-intl.com or give us a call, to discuss your next project. Dynamic have been fortunate to work with great production companies and appreciate the skill they put into every shoot.